BLB-3: 3.6v Li-ION battery for Nokia cellphones. Fits 6340, 8260, 6385, 6365, 6340i, 6360, 8210, 81XX, 83XX, 82XX, etc. Nokia OEM product. 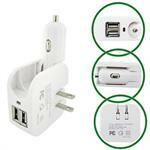 TCNK-CHGR: is a worldwide Wall Travel Charger for Nokia Cellphones. Fits Nokia N90, 2135, 21XXX models, 31XX models, 3220, 5140, 5140i, 5200, 5300, 5300, 5310, 5320, 5500, 6020, 6060, 6061, 6070, 6120, 61XX models, etc. BL-5J : Nokia brand 3.7v 1320mAh Li-ION battery for 5228 5230 N900 etc. BL-5J : 3.7 volt 1320mAH Li-ION battery for NOKIA cellphones. Fits X6, N900, 5800, 5230, C3-00, 5228, 5230 5233, 5238, Lumia 521, etc. Replaces BL-5J. This is genuine new NOKIA product ! i-Anywhere Charger: AC & DC USB charger for SmartPhones, Pads, & Tablets. Plug into DC socket, or plug into Wall Outlet. Has 2 x USB 5V outputs. Max total charging charge current is 2.4A. Folds up into handy 2.25" x 2.25" x 1.1" size. For worldwide use. BL-5C: 3.7 volt 850mAh rechargeable Li-ION battery for NOKIA cellphones and the BENDIX-KING AV8OR. This BL-5C replaces the original OEM factory product. Fits model #s AV80R, 1100,2270,2275,2285,3100-3660, 6230-6820i, 7610, N-GAGE, etc. 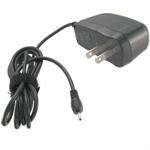 The BL-4C is a 3.7 volt 720mAh rechargeable Lithium ION battery pack for NOKIA cellphones. Original OEM factory product. Fits phone model #s 2651, 5100, 6100, 6101, 6102, 6103, 6126, 6170, 7270, etc. 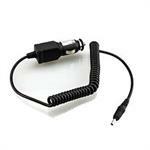 AC-NOK5700 : Wall Travel Charger for Nokia Cellphones. Worldwide input. See x-ref fit list. The BLC-2 is a 3.6 volt 1200mAh Lithium Ion battery for Nokia 1221, 1260, 1261, 2260, 3300, 3310, 3330, 3360, 3361, 3390, 3390b, 3395, 3595im, 3520, 3560, 3570, 3585, 3586i, 3587i, 3588i, 3589i, 3590, 3595, 3595im, 6010, 6651, 6800 Cellphones. BL-5F : 3.7v Lithium ION battery for NOKIA cellphones. Replaces original battery # BL-5F. 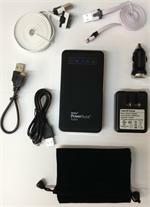 The BL-5F is a 3.7 volt 700mAh rechargeable Lithium ION battery pack for NOKIA cellphones. Replaces original battery # BL-5F. Fits Cellphone model #s Nokia 6210 Navigator, 6210N, 6210S, 6290; Nokia E65; Nokia N78, N79, N93i, N95, N96; Nokia X02NK. BL-6C : 3.7v Lithium ION battery for NOKIA cellphones. Replaces original battery # BL-6C. BL-6C : 3.7v Li-ION battery for NOKIA - fits 2115/i, 2116/i, 2125/i, 2126i, 2128i, 2855, 2865i, 2875/i, 3152, 3155/i, 6012, 6015i, 6016i, 6019i, 6152, 6155/i, 6165/i, 6235, 6235i, 6236i, 6255/i, 6256/i, 6265/, 6275/i, etc. 6.0 volt 700mAh Nickel Metal Hydride slim battery pack for Nokia 21XX phones.